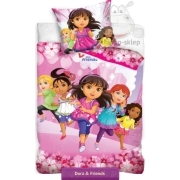 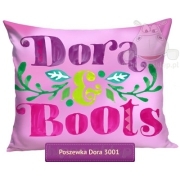 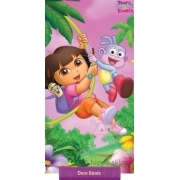 Bedding and accessories with the characters from animated series Dora and friends and also Dora Explorer, Go, go Diego. 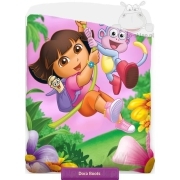 Dora is a little girl from the TV series Dora the Explorer who loves traveling with her monkey named Boots and solving problems and tasks. 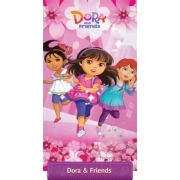 Continuation of adventures of Dora can be seen in the series Dora and friends where Dora together with his friends from school set off on an amazing adventure. 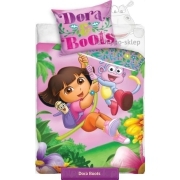 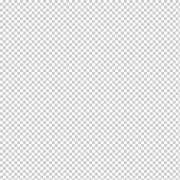 In this collection you will find bedding with Dora 140x200 and 160x200, beach towels, bath towels, sheets, pillow cases and accessories.